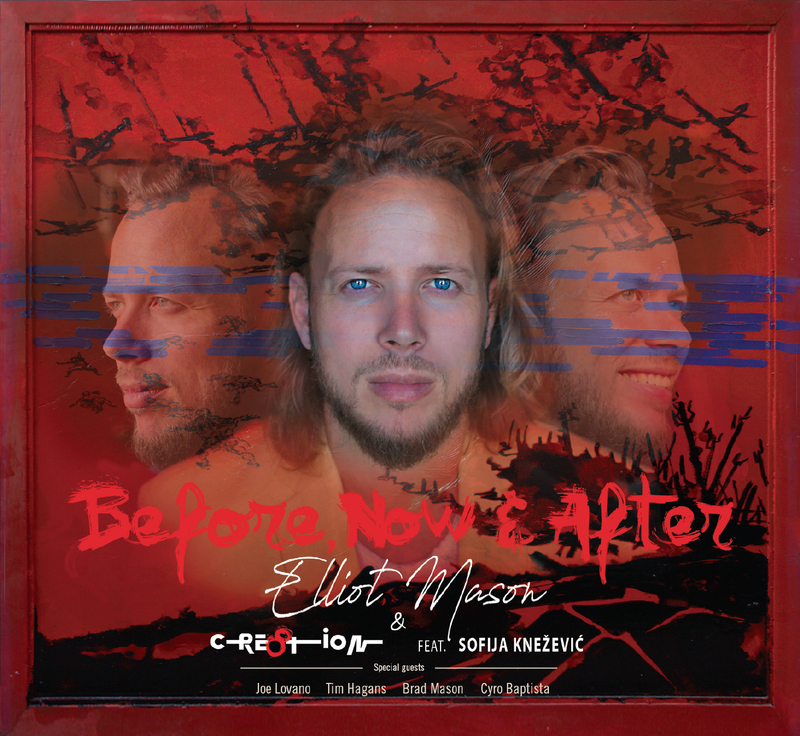 LondonJazz News: Before, Now & After is the first album in your own name. Er...what took you so long? Elliot Mason: Strangely enough, I don't feel like this album arrived late; it wouldn't have developed in to what it is today if it arrived any earlier. Up until this album, any musical idea, melody or self expression has been solely directed towards the Mason Brothers Quintet. 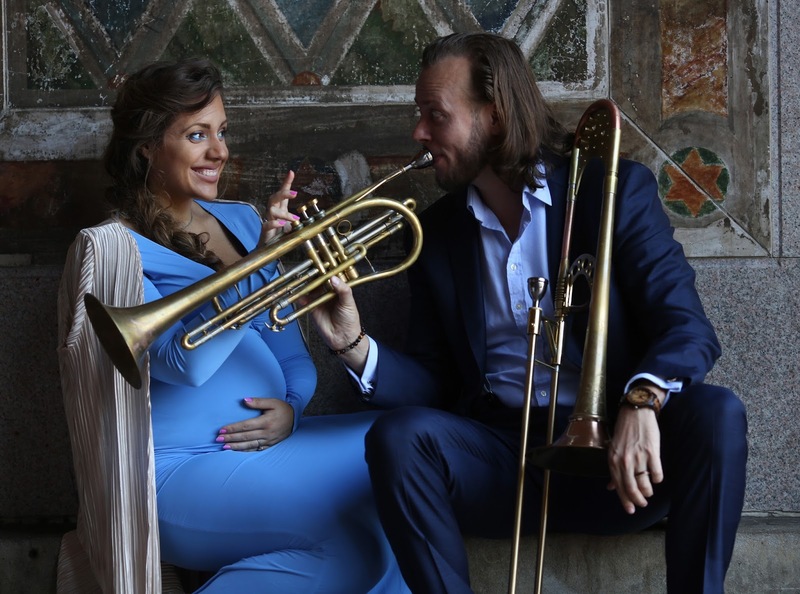 When you've played with your brother since you were five, and have a musical connection that could never be duplicated, it often feels like there's no reason to write for any other ensemble. Plus, when you spend so much time with somebody, you naturally hear them in your compositions. With Before, Now & After, it's more of a reflection of my own musical and life path. LJN: There is a buzz about the originality of your improvising - I keep meeting young players who transcribe your solos, because your lines, the directions you take are so unusual and personal. The press release talks about "crazy lines..." Is that a conscious quest or do you just think about it as just the way you play? EM: Firstly, I'm extremely flattered and very grateful that people are interested in my language and musical expression. Playing "crazy language" for the sake of trying to be unique is definitely not my priority. Intriguing language has always had an emotional impact on me, but how you tell the story defines your unique voice. The delivery is as important as the content, this is clearly reflected in the work of jazz masters. When I first began developing my musical vocabulary I immersed myself in the work of jazz greats, trying to absorb my influences instead of imitating them. I am always eager to take a concept, whether it is harmonic or rhythmic, and improvise within that concept to help connect it with my own voice, and how I hear music. This hopefully helps me make sense of the music within. My lifetime goal and conscious quest that I'm continually striving for, is to speak to you through music, whether it's with composition, performance or both, and perform with a deeper intent that takes you on an emotional journey that leaves you inspired and uplifted. LJN: You are a teacher at Juilliard. What advice do you give students about making their improvisations cohere and flow? EM: This is an interesting question that has become a topic that I regularly discuss with my students. I feel there's a few things that can break the natural flow of a solo. For me, one of the main culprits is when someone is just piecing together their precomposed language. It can even be executed fluently but still ends up sounding like someone's telling you all of their favourite punchlines, but without the stories, anticipation or timing that first gave them their original impact. When you stop the flow of a musical idea to play a phrase that you've practised, it can end up breaking your stream of consciousness, and can have no relevance or connection to your previous ideas/thoughts. We often discuss routinely examining our motives and priorities, understanding that execution alone doesn't mean that you had something valuable to say. To help your improvisation connect more cohesively, try letting your precomposed language take a back seat, and putting more weight on your true improv, where you are improvising in the moment using motifs, rhythmic ideas and pure melodies. Let this be the theme or topic that you're talking about, take your time so more conversation occurs, eventually letting the precomposed melodies naturally fall in to your themes with more of a purpose. LJN: The singer on the album is Sofija Knezevic - what's the story there? EM: Sofija's from Serbia, graduated from Graz University, studying with both classical and jazz voice teachers. She's won numerous accolades and competitions but words can't explain her voice. Before I had even met Sofija, I heard a buzz that there's a new extremely talented jazz vocalist in town with a very distinctive unique voice, that could also solo like a horn player. After hearing her for the first time, I couldn't agree more with what Tim Hagans said in the liner notes: "Hearing Sofija sing, I cannot remember when I was so touched by a human voice." Shortly after we met for the first time, we fell deeply in love. We have been married for a year and a half and our first baby is literally due any day now. Our hospital bags are packed! Our connection and love story has been a huge inspiration for the writing and performance of this album. Sofija was 6 months pregnant when we recorded the album, and the tune & Then There Were <3 was written for the baby, his heartbeat is included in the beginning and end of the track. LJN: And you have co-composed some songs for the album. Is there a linking theme for these songs/for the album as a whole? EM: This album is musically like nothing that I've previously written or arranged. Before I even had a concept, I started with a goal of "emotionally move the listener". The next question to myself was, what recordings/songs emotionally move me, and why? After reflecting, most of my musical influences that first came to mind were my longtime heroes, such as John Coltrane, Duke Ellington, McCoy Tyner, Lee Morgan, Antonio Carlos Jobim, where their recordings had the ability to instantly change the way I am feeling and leave me with so much positivity. As the concept for this album developed, I wanted to embody the emotions from my favorite recordings. I didn't want to recreate them, but I also didn't want to go to the other extreme and run so far away from them that you lose the gift that they gave us. When rearranging the four standards that I chose, I wanted to embrace them, hear them in a new light and add a fresh vision and 21st century insight to them. When composing the other four tunes on the album, I wanted to write songs that would capture these same feelings that the standards did for me when first hearing them. As an artist, nothing influences your individual voice more than feeding from your life's journey, so these tunes have been motivated and shaped by Sofija's and my connection, as well as my love for music, jazz and all artists that inspire. LJN: Joe Lovano is the best known "guest". What led you to invite him? One of the many plus sides of playing with the JLCO is that we get to play with some of today's jazz greats, including Chick Corea, Bobby Hutcherson, Ahmad Jamal, Wayne Shorter, Kenny Garrett and of course Joe Lovano. The main underlined theme that they all have in common is how rich their sounds are. I'm always an advocate for getting out and hearing someone's sound live, there's just so much that gets lost in todays highly compressed audio versions that we hear online. When rearranging, changing time signatures and adding harmony to a complete classic like Resolution, the foundation needed someone with that strong intense sound to hold together the feeling of the new with the original. Joe was definitely my first choice to fill this role. LJN: Coltrane's Resolution flows so naturally like a conversation with you and Lovano. Was that one take/as live?? EM: Yes and yes! There were a few tunes that we recorded first and only take! Resolution, Caravan, Vulnerable and Let Me Ask You Something were all first and only takes with no overdubs or edits. We recorded two to three takes of the remaining four tunes on the album. I ended up making the call when to move on, based on time, chops and whether it felt good after we'd finished recording that tune. Before we recorded Resolution, we did listen to Coltrane's live version, not to imitate but to remind ourselves of the purpose and embrace the spirit. We recorded in one large room, and there was some bleed, so the album is what we played in the moment. For me, having the band hearing and feeling the intensity live heavily outweighed putting us in separate rooms and only hearing everyone through headphones. Not having the option to overdub anything can create a little bit more stress in the studio, but in this case I feel it really paid off. I couldn't be happier with how the album came out musically and sonically. LJN: And the rhythm section are your compadres from JALC - what led to the choice of them? EM: In a nutshell, performing and rehearsing with them for over 250 days a year for the last ten years! Not only do they have an unbelievable connection, but they know my playing better than anyone. In the Jazz at Lincoln Center Orchestra we often cover a lot of musical ground within one set. Capturing nuances but still staying true to yourself when playing something written in the 1920s through to the new music of today. All of these attributes made Dan Nimmer, Ali Jackson and Carlos Henriquez the perfect rhythm section for this album. LJN: Will you be in the UK with JLCO in Feb? EM: Yes, it's always a special occasion for me to get to perform in the UK. Hopefully my parents and close friends can attend, and if all are healthy, our newborn might even get to see his UK heritage for the first time. In late February, while staying in London for a few days, I'll be giving a few masterclasses and performing with the JLCO at the Barbican. LJN: Where do people get the album from? EM: I've just launched a brand new website that has extended listening clips, physical copies of the CD, Instant downloadable Hi-Res & CD quality WAV's + all the sheet music that we used to record the album. Available at: elliotmason.org thank you!